2015 December 23. CNBC Power Lunch live. Length 2:25. 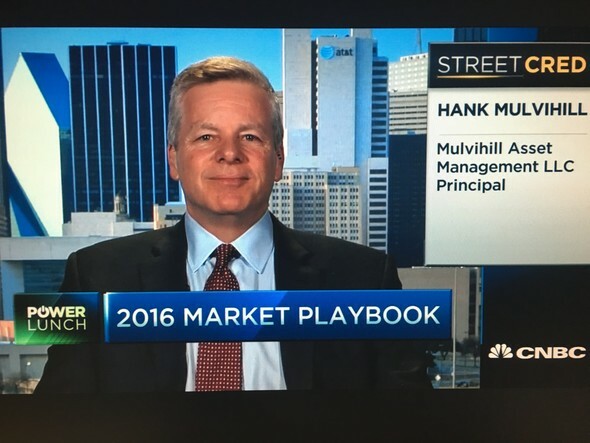 U.S. stocks could do well in 2016 Q1. Alphabet and Amazon could become larger than Apple. Big Cap Tech is an extrordinary sector. The Fed has created a positive environment for capital to flow to the U.S.
2011 March 3. (recorded.) Program aired July 17, 2011. Very few commentators were praising stocks in early March 2011. "How can you ensure your future buying 20 year bonds at 2%? Buy quality stocks paying increasing dividends and let them compound for you."